150 international experts, market actors, entrepreneurs and professionals of the energy sector have attended the International Conference “New markets, new challenges for Renewable Energy and Energy Efficiency in the Mediterranean Region”, held last 13th November in Seville. The conference, organized by the Andalusian Energy Agency, is the first capitalization event of the MED-DESIRE project – MEDiterranean DEvelopment of Support schemes for solar Initiatives and Renewable Energies. 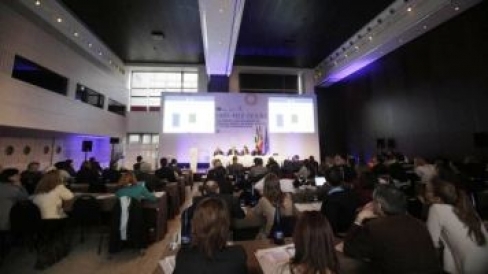 The meeting has created a space for the exchange of experiences and the analysis of the current situation of renewable energies in the Mediterranean Basin in order to contribute to the transfer and implementation of good practices in this field, as well as facilitate, in particular, the take-up of distributed solar energy. «We have to take advantage of the opportunity offered by these meetings – stated Natalia González, General Manager of the Andalusian Energy Agency – involving countries and regions that are very different but at the same time have a lot in common. Indeed, this is what has led us to work together in the MED-DESIRE project: our potential in renewable energies, especially solar energy, the characteristics of our territories and the different energy policies of our respective governments, aimed at developing sustainable energy models». According to Alfonso Garrido, Coordinator of the General Secretary of the Regional Ministry of Presidency, the strategic position of Andalusia «makes our land a unique region in Europe, which has an important position and enables its successful cross-border collaboration». The five countries involved in the MED-DESIRE project share a common idea: renewable energies, and in particular solar energy, play a key role in the sustainable development of Spain, Italy, Tunisia, Egypt and Lebanon. A low carbon economy can be a great opportunity and all the Mediterranean countries are working in this direction: for example, Tunisia has recently launched a national energy strategy for the study of renewable energy, while Egypt is strengthening its institutional capacity in energy efficiency. To help these countries to adopt energy efficiency and a low carbon economy, the ENPI CBC MED Programme has funded many projects dealing with environmental sustainability. Among them, MED-DESIRE, MED-SOLAR, FOSTEr in MED and DIDSOLIT-PB, that took part to the final roundtable titled “Opportunities for renewable energy and energy efficiency in the Mediterranean”. «Since these projects have similar objectives and targets, we should share experiences, expertises, publications and actions - stated Giuseppe Creanza, Coordinator of the Agency for Technology and Innovation (ARTI) of Puglia Region - Italy. Increasing synergies among our projects could surely help us to have a greater impact on the target territories and reach more concrete results. Cooperation has to be our keyword».